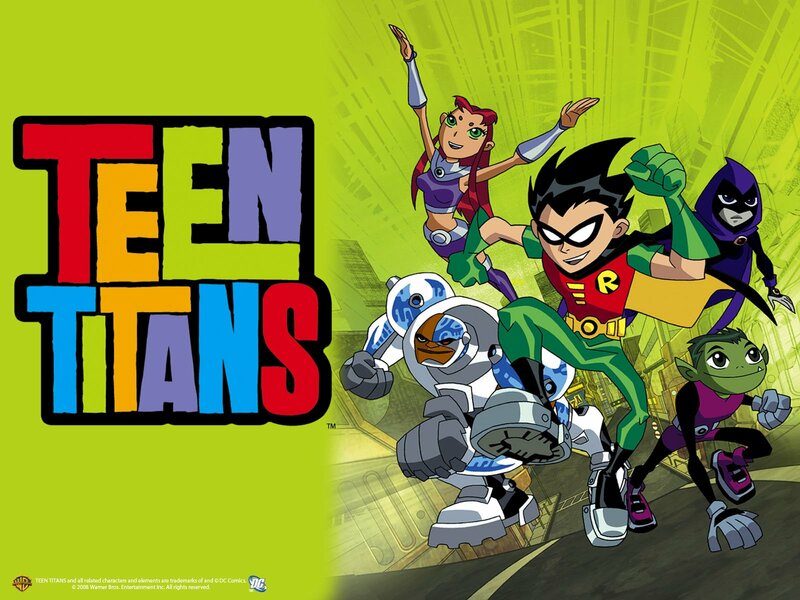 Opening in theaters everywhere today, Teen Titans GO! To The Movies is the superhero film we need right now. Blending the animated series’ mix of satire, pop culture references, and all-around wackiness, TTGTTM deserves to be DC’s highest rated movie since last year’s Wonder Woman. I got a chance to have a chat with one of the stars of the film, and one of the most iconic voice actors in the business, Khary Payton, about being Cyborg. KEITH: I just want to say I’m a huge fan of yours and a huge fan of Teen Titans Go. What is it like to finally graduate from the small screen to the big screen? KHARY: It’s a lot of fun! I feel like, you know, it’s nice to have a big party on the red carpet and everybody be excited about it. And I hope everyone comes out and sees it! We hope we get a bigger audience because the show that we’re making on the small screen is pretty awesome. And we want everybody who doesn’t know about it and maybe have this movie be the gateway to checking out the TV show more often. You’ve been playing Cyborg for a really long time. When I read comics, I hear your voice whenever Cyborg’s there. You’re the “Kevin Conroy” of Cyborg! How does that feel? It’s really incredible that people say that because I remember being a kid watching Kevin Conroy do the voice of Batman on Batman: The Animated Series and Mask of the Phantasm. I went to the movie theater to see Batman: Mask of the Phantasm. And he does have that iconic Batman voice, and I never thought that my voice would be synonymous with a cartoon character that I grew up reading in the comic books. It’s a pretty awesome and wonderful feeling. But it’s really cool to be a part of kids growing up into adults and knowing that you kind of helped shape them in a way. And Cyborg, today, has become one of the A-list DC characters. That’s pretty cool. I always say I feel like a proud papa, you know? 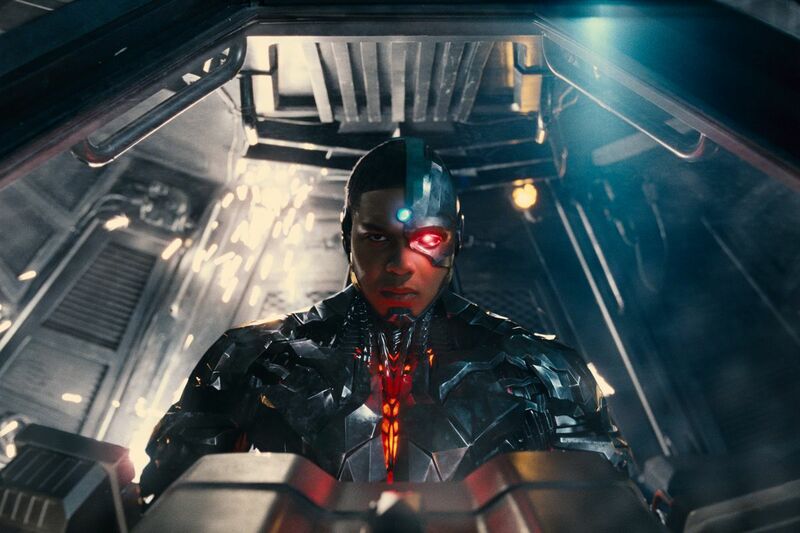 Without the original Teen Titans series, there’s no way Cyborg ends up on the big screen in the Justice League movie. He was kind of a background character for a long time. Unless you were a serious comic book reader, you didn’t know who he was. But after ten years really, the tide started to turn and the next thing you know, Cyborg is in one of the biggest movies ever and the cool thing is that they keep letting us do Teen Titans in all of these different genres, from dramatic and creative. And I just love that they let us keep doing what we do best. That’s what I love about Teen Titans GO! I know for a lot of fans, it’s controversial, but I love the show’s humor and I feel like it’s one of the smartest shows on TV. It reminds me of the classic Warner Bros. cartoons. My daughter loves the show, and just like those old WB cartoons, it works on the kids’ level, but if you’re an adult, there are jokes that only you get as well. Yeah. I think we stopped writing the show for kids about 20 episodes in. We realized we got to make ourselves enjoy this! And it just so happens that we were literally letting the parents into this world as well. Because while we were trying to make ourselves laugh, we realized that all the parents were our age and they were getting all of the references from the ’80s and ’90s and all the pop culture references that the kids don’t get. At the same time, we have great episodes about how to buy a mortgage and avoiding pyramid schemes, you know what I mean? It’s like we’re saving these children money, and they don’t even know it! Exactly! That’s why I never understood the criticism when they say Teen Titans GO! is only for kids. I’m like, “have you listened to the songs from the show?” If you don’t know new jack swing from the ’90s, you won’t get half of the musical references! It’s true! You know, I understand that people love the original show so much and they wanted to see more of it. But you know, the internet can make you very bitter. And then you find a lot of bitter people to be bitter with and that makes you more bitter. But I really wish they would give us a chance and laugh a little and have some fun because literally, the most fun you can have with Teen Titans GO! is being a fan of the old show. Because the way that I feel about our production is that it’s like we all crack open a beer and sit around reminiscing about that old show we used to do. And when you do that with your friends, you end up making fun of each other and laughing a lot and that’s what Teen Titans GO! is all about. And it’s also deep into DC lore. Oh my god! Yeah! I mean, our Darkseid is the definitive Darkseid, played by the incomparable “Weird” Al Yankovic. How awesome is that? I do want to talk a little about the music. I mean, you guys turn obscure ’80s songs into Billboard hits! It’s kind of amazing how you put a great song out there and it takes on a life of its own. And we find the songs in Warner Brothers’ music archives, and it started that we would just make up songs on the fly when we got to the booth. Michael Jelenic and Aaron Horvath would write a song and be like, “oh yeah, we forgot to put a tune to it.” And they’re like, “Khary, did you bring your guitar? Let’s make a quick power ballad here!” Then Peter Rida Michail came in and he’s just a genius when it comes to music. And he’s so funny and so clever and has such a great sense of musical timing. I’ve heard nothing but great things about the songs in the movie. Yeah, one of the coolest things is that we were able to get Michael Bolton to come and sing on one of our ’80s songs for the movie. And he just absolutely killed it. And by the end of that song, you’re gonna be dying laughing! Well, we’re very excited for Teen Titans GO! To The Movies. 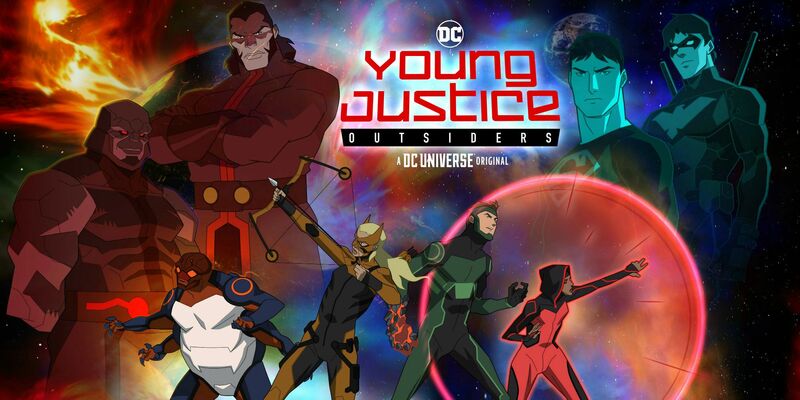 We’re also excited for the return of Young Justice! Can you give us a little tease of where we’ll find Aqualad this fall? No! I am not saying a word! You’re just going to open that present up when it gets to your door! 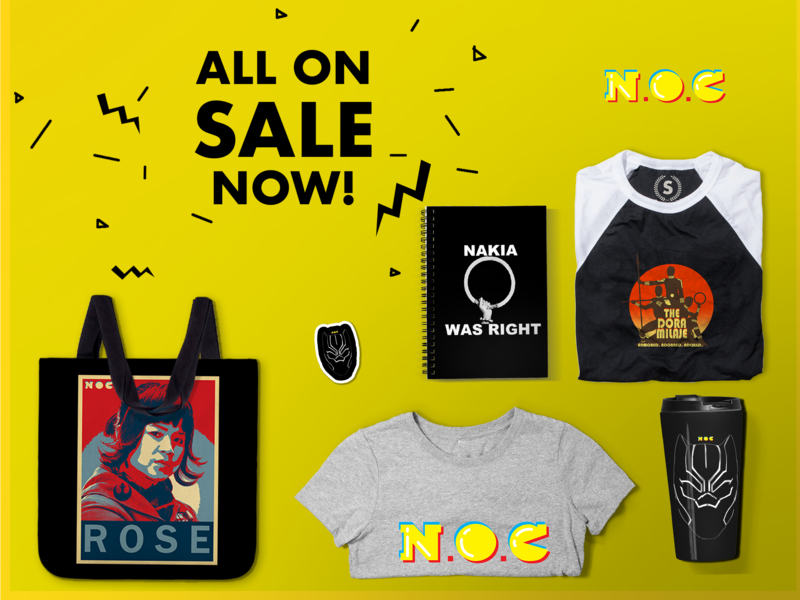 I promise you you’re going to be like whoa. I love the way that Brandon Vietti and Greg Weisman spin a yarn and tell a story. I can’t wait for you to see what they got in store. It is not the story that I thought we'[d be telling or the way we’d be telling it. But it is so good. So good! They have twists in the story better than anybody on TV, honestly. They’ve done a great job. That tease alone is worth every penny to go out and get the DC Universe app! Khary, thank you so much for taking some time to speak with us. One last question. The Titans are having a moment. Atlantis is having a moment. And you have a foot in both worlds being Aqualad and Cyborg. But if you had to do “Aqualad v Cyborg: Dawn of Justice,” who would come out on top? Ha! Wait, if I had to do “Cyborg vs. Aqualad: Dawn of Justice?” I don’t know who would come out on top. You know, there mom’s don’t have the same name. Well, there moms’ names are pronounced the same way underwater. It comes out as bubbles. You know what? They might actually have that same moment, like “WHAT DID YOU SAY? !” and then [makes bubble noises]. 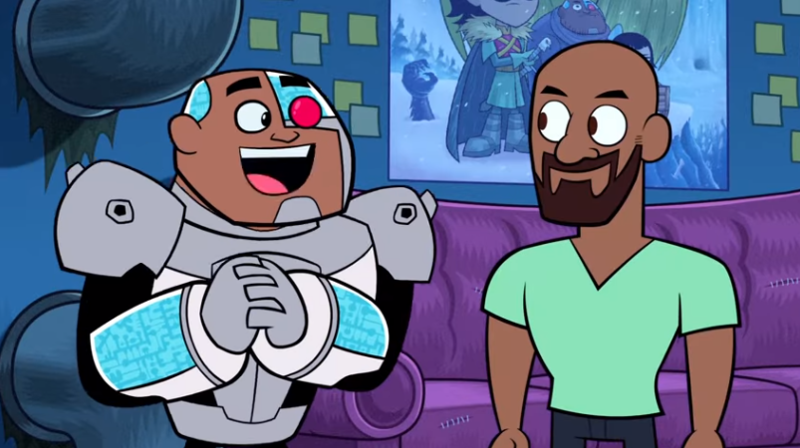 Yo, I think you and I just wrote a new episode of Teen Titans GO! We did, man! I can’t wait for it to come out! Oh, I’m so excited about this movie. One of the perks of having children is that I can watch shows like it without judgment – unless they’re too loud and then I watch it alone, because that’s normal for a 34-year-old woman. Can’t wait to see it.